The opulently spaced Kubbeli Suite takes its name from the customized dome design in the bathroom. 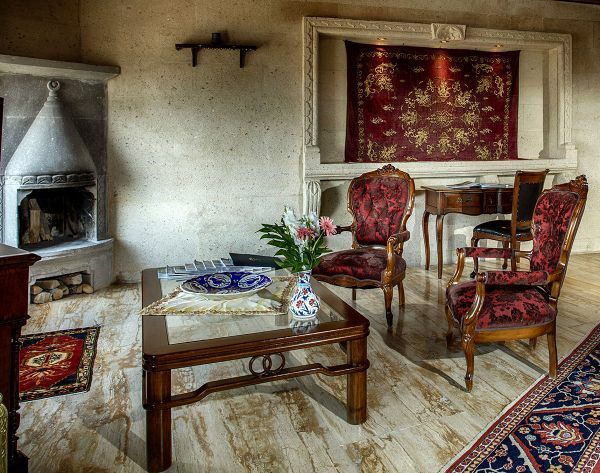 The room is spacious and comfortable and is distinguished by wealthy Ottoman-style decoration: the ceilings have been meticulously decorated with special wooden handicrafts and an antique central dome. 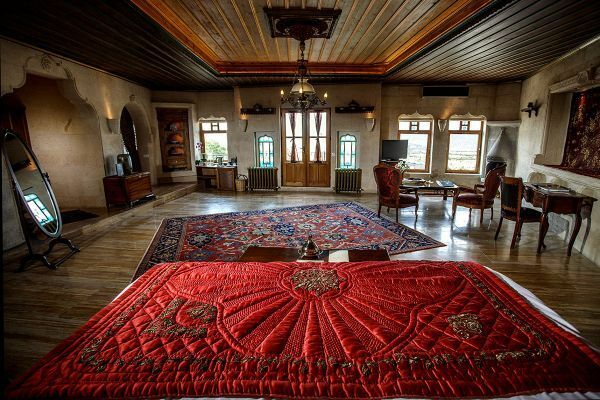 The entire room is decorated with many precious antiquities, and also has a breathtaking view of the Cappadocia landscape. The bathroom reflects the magnificent harmony of unique Turkish marble and Ottoman Iznik ceramics. 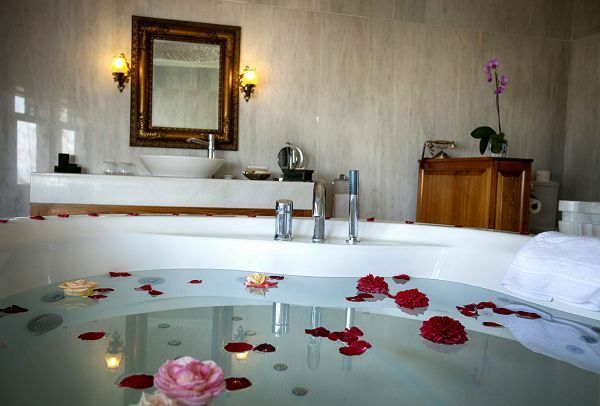 The Jacuzzi is one for the romantics, with its fabulous and fascinating view. Not only your room, your bathroom also has a breathtaking view! 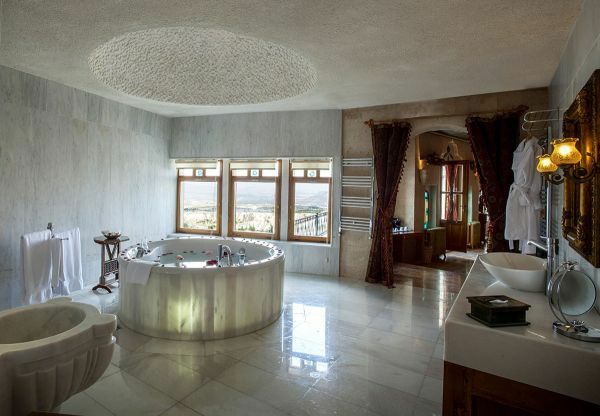 Why not enjoy your view of Cappadocia right from your Jacuzzi? Apart from being a large room, the suite also offers high ceilings and broad windows opening onto the view. The room possesses a romanticism in its spirit, and is full of fine details and touches that will forever be remembered as part of your honeymoon. The room boasts a view that is simply magnificent! Pigeon Valley, White Valley, Red Valley, and Göreme all lie beneath you, with the splendid Mt. Erciyes stretching away in the distance.